Sri Saiashram Bhaktiniwas online booking is available at Sai Sansthan website (onlinedotsaidotorgdotin). 1 – Extra Rent of Rs 50 per person is only charged in case of AC & Non AC BhaktiNiwas rooms & Sri SaiPrasad Niwasthan SP2 – VIP & Gen 2 Cot & 6 Cot Rooms. If you have any query on SaiAshram Bhaktiniwas, please leave your comment below, we will get back to you at the earliest. 24.08.17.ko 2 ac room lena hai ….. Avelebal…ye…. please.. Please let us know if you need to know more. Yes, sir rooms are available on 20/12/2017 at Shri Saibaba Sansthan Trust Shirdi. 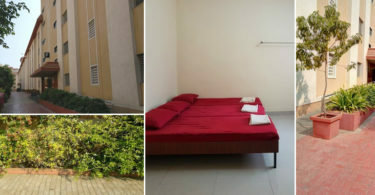 AC rooms are available at Dwarawati and NON AC rooms are available at SAI BHAKTA NIWAS. Please log on to Sai Sansthan Online with your registered Email ID/Devotee No. and click on the section “Print Acknowledgement”shown below to generate your acknowledgement. I want Ac room in bhakti niwas for five adults.d ates are….8.9.10 of this month. We will reach tomorrow. Accommodation is not available for Tomorrow till 10th Sep 2017. However, you can contact on these numbers to check the availability. Rooms are not available for following dates. You may book hotels nearby. Request for booking of accommodation from 29th Sept 2017 to 01 Oct 2017. Kindly intimate at the earliest. Booking for accommodation is not available for desired date. Can u please tell me,any rooms for the dates 1st & 2nd of oct.
Booking for accommodation is not available for desired date. Very challenging to find room at Bhaktiniwas. You may try independent hotels nearby for accommodation. Yes sir Booking for accommodation is available for desired date. Do let us know if you need any help. 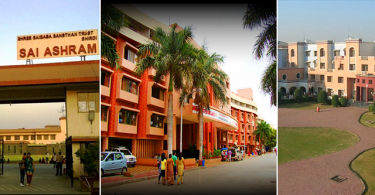 The process for online booking of all rooms in Shri Saibaba Sansthan Trust are same. You have to fill the information required while doing online booking of accommodation like Check in Dates, Duration of Stays, Number of rooms, No of Males and no of females. I want to book 2 AC room online in Sai Ashram on 18 Nov to 19 Nov 2017. But the problem is check in & check out time. I want check in time 5.00 am on 18 Nov & check out time is 9.00 pm on 19 Nov 2017 of my Rooms. It is possible ? Pls help. The Standard check in time and check out time for Sai trust accommodation is 11:00 am . As you want to book 2 AC room online in Sai Ashram from 18 Nov to 19 Nov 2017, it is not possible to make any changes in the check in & check out time . As you are booking accommodation from 18 nov to 20 nov 2017, but only 2 days are allowed , it is so because in one transaction and in one ID only 2 days duration of stays are allowed. It is also in case of rooms allocation which is maximum 2 rooms are allowed in one transaction and in one ID. If you want to book for extra days or for extra room from same id it is possible only after you have availed the existing booking. Otherwise, you can book for 2 days and 2 rooms from one ID and extra room and one extra day from another ID. As per your information ‘ I can book extra room and one extra day from another ID. but he will give us same room or another room for extra day ? You are allowed to stay in same room for extra day if will book another room in the same shirdi accommodation before the previous booking get availed. But remember everything will depend on the availability of rooms. So, please book you rooms as soon as possible . Please tell me about “Shri sainivas mega residency (previously mega Dharmashala) ? It is provide Accommodation, good food in cheap rates as like Sai Ashram ? Because we want to plan 2 days “Shirdi – Shani Shingnapur” trip in low budget as possible as. 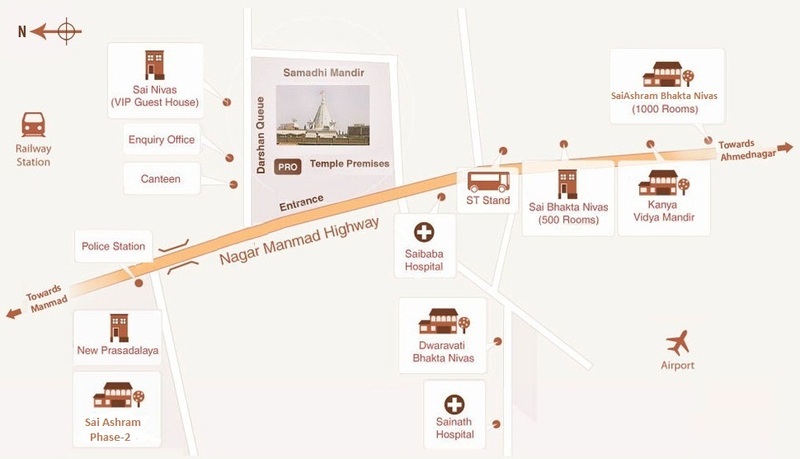 Shri Sainivas Shirdi is a mega dharmasala constituting of 156 rooms with AC, Non AC, Deluxe & Suite rooms. Shirdi Online Room Booking is now available at Shrisainivas Mega Residency with different room tariffs price ranging from Rs 500 to Rs 2499+GST(12%). Now i booked a room in Sai Aashram for 2 days from 18 to 20 Nov 2017. the standard check out time is 11.00 am but can i check out the room on 19 Nov 2017 before 11.00 am ? because i m going to Mumbai after Shani Shiganapur on 19 Nov 2017. That means sir you want to book room for one day only. In this case Rohan Sir you can check out before 11 am on 19th Nov. There is no problem at the time of check out. I want two room in sai ashram for six adults.dates are december 25,26,27 in sai ashram..
1) In one transaction with single ID devotees can book only rooms for two days . 2) Only for 1 room maximum capacity will be 5 persons. Sir , you can book two rooms for 3 adults each. 3) Check in Time & Check Out time will be 11 AM. Sai ashram me do ya teen bed ka room chahiye. 5 nov.2017 she 7 Nov.2017 tak. Is accomodation available on 1.11.2017. Stay for 1 day . 1M+1F+2Kids. No rooms available for date 1st Nov 2017 on Shirdi Sai Trust Accommodation. We need a room on Dec-2 for 10 devotees.Can you pls arrange for that. No rooms available for date 2nd Dec 2017 on Shirdi Sai Trust Accommodation. Sir , rooms at Shirdi Sai Trust can be booked only through online mode and at the time of booking it need your photo and ID card. What does cot Booking means ,its a room or a common dormetry we are 2 adults & 2 children(one is 5 years & second is 5 months baby) if we book cot we will got a room or a common dormetry, because room does not showing on selected date. Devotees can book Shirdi COT booking who does not get accommodation in any shirdi cottage or guesthouse. COT Booking have common restroom(hall) and common dormitory. Also the cot booking is available in Sai Ashram 2. Yes sir AC rooms are available for the dates mentioned by you. There are availability of AC rooms in Dwarawati Bhaktiniwas . As per rules devotees can avail rooms for two days from same ID. Please let me know if you need any help or clarification. 1)Only with one ID devotee can book rooms for two days. For another two days you have to book room with different ID. 2) The Check in & Check out time is 11 AM. 3) Minimun 3 persons and maximum 5 persons can stay is room. 4) You can also make payment online and confirm the rooms in Saiashram Bhaktiniwas. Please let me know if you need any help . Online sofrware not working properly. I faced problem to boooking accomidetion rooms for 8.8.2018. surver is not working till to date. Dear sir, please help me. Online register nahi ho raha hai, invalid email I’d bata raha hai. Mai kya karu. Sir ho sakta hai ki uss waqt shirdi sai trust ki website update kar rhe ho ya koi server problem ho. Aap thodi dino baad try kijiyega online registration ban jayega. I have to book for 13th Jan 2019. As 60 days in advance booking, in the portal its showing January is already filled. But November and December is available. Please let me know on this which is true. Hi, I want 1 non AC / ac room on 23 Dec 18 can u please let me know rooms are available or not , I had tried so many times but portal is not opening. I have a query about room availability from 17-02-2019 to 22-02-2019 in sai ashram bhakti niwas.